Todd Caldecott Dip. Cl.H., RH(AHG) is a medical herbalist and practitioner of Ayurveda, with close to 20 years of clinical experience. 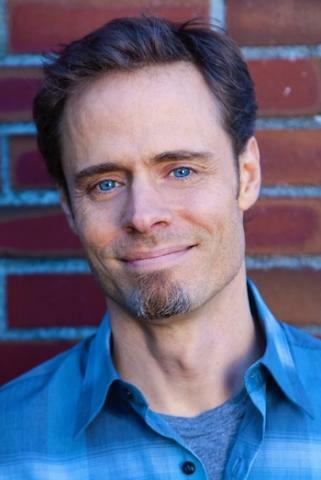 Leaving behind a career as a film and television actor, Todd began his healing journey traveling overland throughout West Asia in 1989, surviving on only few dollars a day, exploring remote locations including the famed Hunza valley in northern Pakistan, and studying meditation in Sri Lanka sand Bodhgaya (India). Upon return to Canada in 1990, he began studying Ayurveda with Dr. T. Sukumaran, and completed his training as a Western medical herbalist at the Coastal Mountain College in 1996. He continued his training in India, studying Ayurveda and Yoga at the Arya Vaidya Chikitasalayam in Coimbatore, where his wife later gave birth to their second son. Upon return to Canada in 1997, Todd opened a clinical practice and manufacturing business in the West Kootenays of British Columbia, and worked as a consultant for a community forest project, conducting sustainable harvest research trials on non-timber species. In 2000, Todd became the clinical director of Wild Rose College (Calgary), where he developed and taught a three year clinical program in herbal medicine. In 2005, Todd relocated to Trinidad and Tobago, and provided clinical services in Chaguanas and Port of Spain, mostly attending complications of chronic diabetes. In 2006 he published his first book, Ayurveda: The Divine Science of Life, and returned to Canada to continue practicing. In 2009, Todd traveled to Nepal to complete work on Ayurveda in Nepal, a text authored by the late Vaidya Mana Bajra Bajracharya, a hereditary Buddhist priest and Ayurvedic physician of the Kathmandu Valley. In 2011, Todd published his second book, Food As Medicine: The Theory and Practice of Food, and in 2012, founded the Dogwood School of Botanical Medicine, which provides distance learning and mentorship training in Ayurveda, nutrition, and herbal medicine. Todd has been an active member of the American Herbalists Guild since 1997, and lives in Vancouver with his wife and three children. Beyond teaching and his clinical work, Todd is currently working on another book on the treatment of cancer in Ayurveda, based on Vaidya Mana's work, in collaboration with his son, Vaidya Madhu Bajra Bajracharya, and Alan Tillotson Ph.D. Recently, Todd was honored as the 2014 Mitchell Visiting Scholar at Bastyr University.